Michael Cohen has at least temporarily pulled the plug on his highly-anticipated testimony before Congress that had been scheduled for early next month. 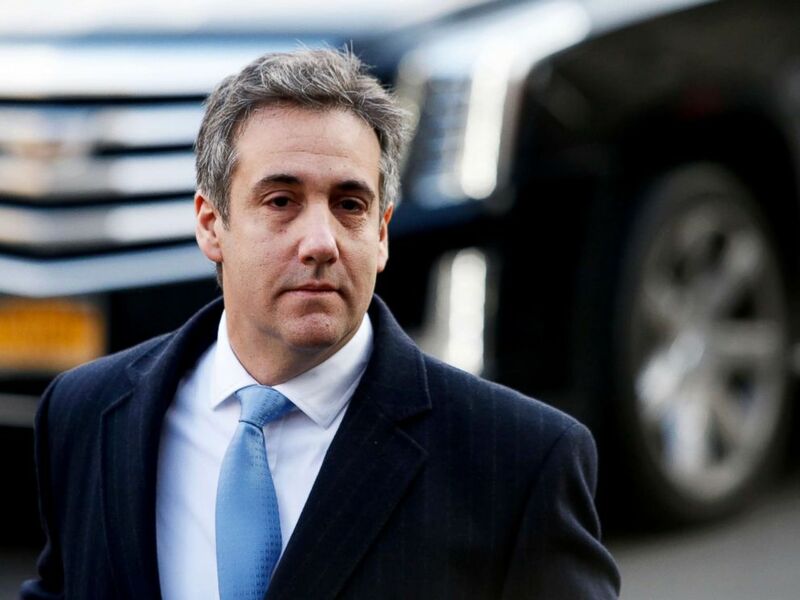 But in a new statement Wednesday, President Donald Trump's former attorney and long-time fixer says that he is delaying the appearance out of concern for his family. "Due to ongoing threats against his family from President Trump and Mr. Giuliani, as recently as this weekend, as well as Mr. Cohen's continued cooperation with ongoing investigations, by advice of counsel, Mr. Cohen’s appearance will be postponed to a later date," according to a statement from Cohen's attorney, Lanny J. Davis. Trump, when asked Wednesday to respond to Cohen's accusation that his family has been threatened by the president and his attorney, Rudy Giuliani, said Cohen was not threatened by him, but is "threatened by the truth." "No, I would say he's been threatened by the truth. He's only been threatened by the truth," Trump said. "And he doesn't want to do that probably for me but probably for his clients, he has other clients also I assume, and he doesn't want to tell the truth for me or his other clients." The decision by Cohen, a long-time loyalist who worked alongside Trump for a decade at the Trump Organization, may deprive House Democrats of their first high-profile hearing since taking control of the chamber in the mid-term elections. While Cohen had no formal role in Trump’s presidential campaign, his involvement in a myriad of controversies promised to attract an intense spotlight to his public testimony. Last month, he entered a guilty plea for lying to Congress about the timing and discussions about a proposed Trump Tower building in Moscow that was under consideration during the campaign. That project, which never came to pass, has become the subject of intense interest from both Congress and the Special Counsel Robert Mueller, who is probing potential coordination among members of the Trump campaign and Russians who interfered in the 2016 election. Cohen also pleaded guilty in August to financial and tax crimes associated with his personal business dealings and to campaign finance violations for his role in hush money deals with Stormy Daniels and Karen McDougal, two women who alleged previous affairs with Trump, which he has denied. Cohen told a federal judge that he made those deals “in coordination with and at the direction of” then-candidate Trump. Adult film actress Stormy Daniels arrives for the opening of the adult entertainment fair "Venus" in Berlin, Oct. 11, 2018. Trump has said he "never directed Michael Cohen to break the law." Adding to the anticipation for the February hearing was the announcement by Michael Avenatti, the attorney for Stormy Daniels, that he and his client intended to be in attendance. But the proposed testimony from Cohen was already losing some of its luster as it became clear that Cohen would be unable or unwilling to address topics currently under investigation by Mueller and other federal prosecutors. And Cohen’s decision to delay the testimony does not come as a complete surprise. ABC News reported exclusively last week that Cohen began to have reservations about the appearance following a series of public attacks by President Trump against him and his family, according to sources close to Cohen. "This is a time where Mr. Cohen had to put his family and their safety first," Cohen's statement read. In an interview with FOX News earlier this month, Trump called Cohen "weak," accused him of lying to prosecutors in order to get a reduced sentence, and hinted -- unprompted and without evidence -- that he possessed damaging information about Cohen’s family. "[Cohen] should give information maybe on his father-in-law, because that’s the one that people want to look at," Trump told FOX News host Jeanine Pirro. "That’s the money in the family." There has been no public indication during the investigation of Cohen that his father-in-law is, or was, the subject of any criminal inquiry. As the president continued to engage in what Cohen sees as reckless and unsubstantiated claims he believes are intended to intimidate him, Cohen had expressed to friends his concern that Trump’s heated rhetoric on television and Twitter could incite an unstable person to target him or his family. Some legal experts were also highly critical of Trump’s comments. "It’s an absolutely shocking violation of norms for the chief executive to suggest a retaliatory investigation against the relative of a witness against him," said Kenneth White, a former federal prosecutor and criminal defense attorney with Brown, White & Osborn LLP. "This is Nixonian 'enemy list' stuff, but instead of the public finding out about it through secret tapes and insiders, the president is saying it openly on TV." 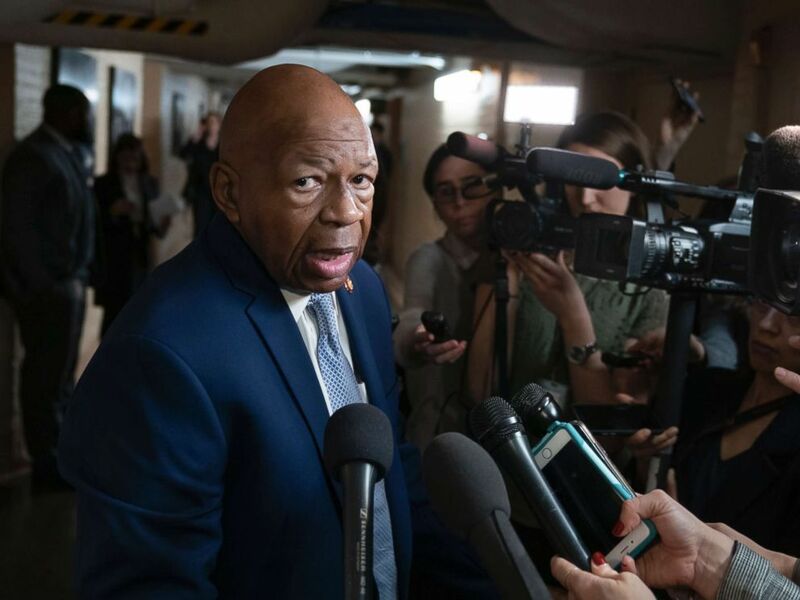 Trump’s comments to FOX News had drawn a swift rebuke from Rep. Elijah Cummings, D-MD, the new chairman of the House Oversight Committee, who had extended the invitation to Cohen. Rep. Elijah Cummings, D-Md., speaks at the Capitol, Jan. 4, 2019. "The integrity of our process to serve as an independent check on the Executive Branch must be respected by everyone, including the President," Cummings said in a statement released Sunday that was joined by Rep. Adam Schiff and Rep. Jerrold Nadler, the Democratic chairmen of the House Intelligence and House Judiciary Committees. Cohen’s scheduled appearance had already become the subject of fierce partisan squabbling on the House Oversight Committee, with Republican lawmakers expressing concern Tuesday that the hearing was shaping up to be a "media stunt" engineered by one of Cohen’s legal advisers, Lanny Davis, a Democratic political operative who had worked closely with Bill and Hillary Clinton. In a letter to Cohen attorney Guy Petrillo, Reps. Jim Jordan, R-Ohio, the top Republican on the Oversight Committee, and Rep. Mark Meadows, R-NC, a leader of the House Freedom Caucus and a Trump confidant, appeared to be casting aspersions on Cohen and Davis and the circumstances of the hearing -- while raising questions about Davis, his involvement with Cohen and his compensation. "If Davis is providing free media advisory or legal services, or if someone else is paying Davis’s fees, it adds to the perception Cohen’s appearance is a media stunt initiated, produced and financed by career Democrat political operatives as a way of scoring political points against the President," the letter said. It’s unclear what impact Cohen’s decision to delay his testimony will have on the efforts of other Congressional committees who want to hear from him. ABC News reported last week that the Senate Intelligence Committee, chaired by Republican Senator Richard Burr of North Carolina, is nearing a decision to issue Cohen a subpoena. Rep. Adam Schiff, a California Democrat who chairs the House Intelligence Committee had indicated that he is seeking Cohen’s testimony on Russia related matters in a closed session in the near future. For all of the committees, time is running short. Cohen is due to report to federal prison by March 6. He was sentenced to three years in custody after pleading guilty to financial crimes, lying to Congress and campaign finance violations. ABC’s Benjamin Siegel and Trish Turner contributed to this report.